As an assistant for the past twenty years I have experienced a wide range of expectations with regards to the role and performance in the role. While some of this was simply management “style,” it is also clear that the role has been evolving. The changes are sometimes reflected in the different titles; Secretary, Assistant, Administrative Assistant, Administrative Assistant I/II/III, Senior Administrative Assistant, Executive Assistant, Senior Executive Assistant, Executive Assistant to the CEO, Executive Coordinator, Business Administrator, and so on and so on. However, I have found that a comprehensive assessment of the role and its evolving place in the workplace has been lacking. Whether I’m screening a phone call, meeting a guest, or coordinating a meeting, in all interactions I am dealing with the person’s (manager, guest, consultant, co-worker, peer) single perception of what and who an assistant can be, and how an assistant can contribute to and impact department and corporate goals – one person might think I am only capable of, and responsible for, answering phones, setting up meetings and greeting guests. Another person might understand that I am a user of all processes, touch all departments, understand the company from the ground up, and in fact, might know more about the inner workings of the company than most employees. And when roles are being eliminated and unanticipated gaps in process created, the responsibilities and slack are being picked up by assistants. Assistants are wearing more and more hats. The role is constantly evolving. 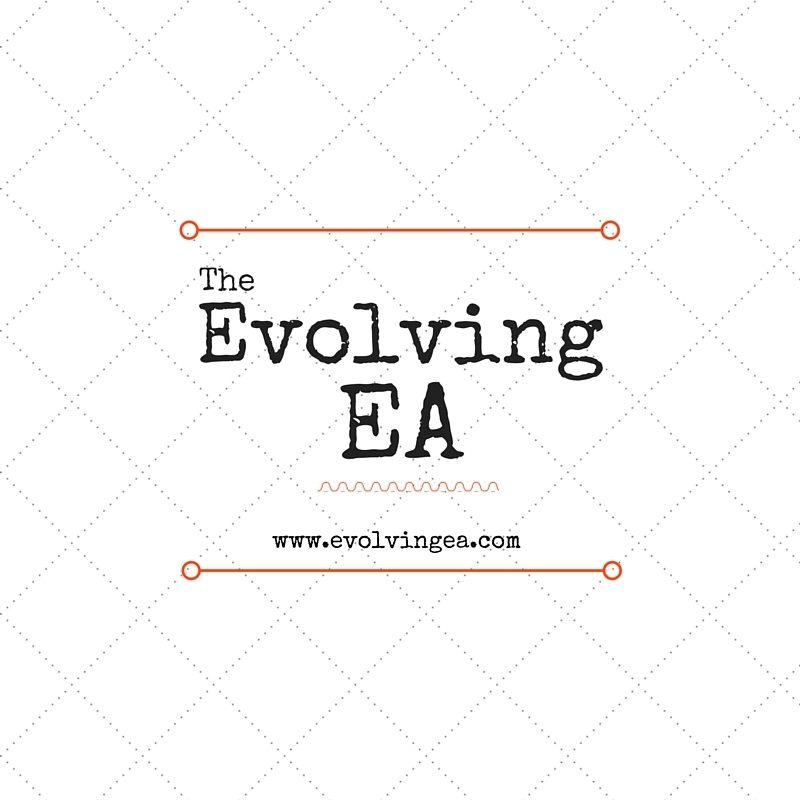 The Evolving EA™ website is about the assistant and for the assistant. Our goal is to provide a resource for assistants to become more proficient in the role and/or move above and beyond the role if so desired by focusing our time and energy on our core Executive Assistant Competencies: initiative, judgment, leadership, change management, communication, execution, problem solving, integrity, conflict management, accountability, and resourcefulness. We want to educate and train other people about the role and encourage companies to leverage and recognize the competencies and skill sets of assistants, and their contribution to corporate goals rather than perpetuating stereotypes. Click here to print our mission statement. To receive the above newsletters when they are posted, subscribe.